Rhonda Spivak: Catherine, do you think there is currently an actual rise in antisemitism today as some people are suggesting? Catherine Chatterley: Yes. In 2018 there was a significant rise in antisemitic violence. In France, there was a 74% increase in antisemitic incidents (from 311 to 541), including the torture and murder of an 85 year old Holocaust survivor who was stabbed and set on fire, and rumoured to also have been raped (Mireille Knoll). Germany has just reported a 10 year record high of 1,646 antisemitic acts in 2018, in which 43 people were wounded. In the UK, 1,652 antisemitic incidents were recorded with 123 classified as violent (the total number is a 16% increase from the previous year). Canada reports that 2017 was the second consecutive year in which record numbers were reached: 1,752 antisemitic incidents (16 violent acts; 327 acts of vandalism; and 1409 acts of harassment). And, of course, the murder of 11 Jews (and wounding of another six) at the Tree of Life Synagogue in Pittsburgh on October 27, 2018 was the deadliest act of antisemitic violence in American history. There is growing agreement that the main sources of antisemitic violence in the Western world today are on the far-right, the far-left, and within Islamic supremacist circles. Unfortunately, it takes an upsurge in physical violence against Jews for people (including Jews) to recognize the threatening nature of antisemitism. However, few people seem to be willing to connect the escalating rhetorical assault on Jews, Judaism, and the Jewish state since the new millennium to this increase in physical violence. 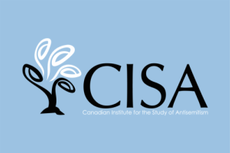 Rhonda Spivak: Does CISA’s journal, Antisemitism Studies, address these current concerns or does it only deal with the past? 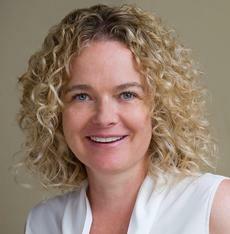 Catherine Chatterley: Each issue includes five articles and five to eight book reviews. The journal is a scholarly production and it deals with all aspects of the phenomenon of antisemitism, all time periods, including today. We have published several studies on contemporary developments in Eastern Europe, France, and Germany, and on refugee attitudes toward Jews. There is growing concern about antisemitism in Europe, particularly in Western Europe and in the UK. I also discussed "a related problem that remains unacknowledged, and therefore understudied in our field, is the same intersection of antisemitism and misogyny faced by female scholars of antisemitism, anti-antisemitism activists, politicians, and any other woman who confronts antisemitism in public. This includes Jewish and non-Jewish women alike. See, for example, Maggie Astor, “For Female Candidates, Harassment and Threats Come Every Day,” New York Times (August 24, 2018). Also, see the experiences of Joanna White and John Mann, Luciana Berger, and Ruth Smeeth: “Labour MPs Give Raw Accounts of Facing Threats, Abuse, as British Parliament Debates Antisemitism,” The Algemeiner (April 17, 2018).